At the Samsung Press event in New York, the company announced U.S. availability of the Galaxy Tab that was originally announced at IFA in Germany. 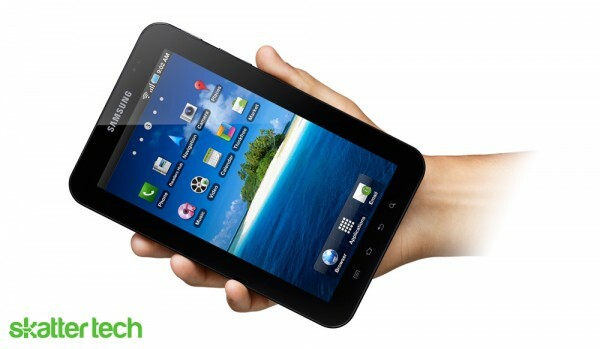 Subsidized versions of the tablet will be available through AT&T, Sprint, T-Mobile, and Verizon Wireless. Although each carrier will customize their iteration, all models will share standard characteristics. 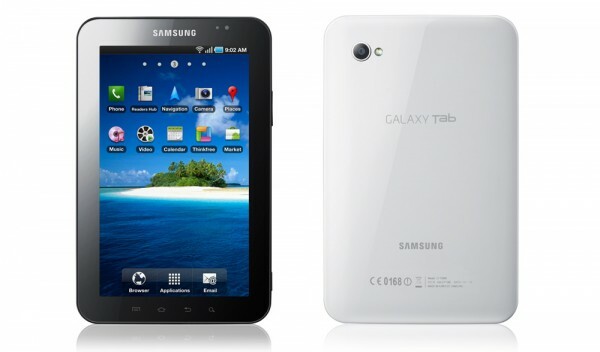 For those that haven’t heard, the Galaxy Tab sports a 7 inch 1024-by-600 pixel TFT display, a 1GHz Hummingbird processor, front/rear cameras, Android 2.2, Wi-Fi n, and much more. The web browser supports Adoble Flash content and extras such as Samsung’s Social Hub and Media Hub enable access to social networks and movie rentals, respectively. Users can add up to 32GB of external memory through microSD expansion and enjoy content for hours on a 4,000 mAh battery. The TouchWiz interface overlay will offer landscape split screen views generally not available with the stock Android OS. This enables viewing more information on a single screen with customized applications such as Email, Calendar, and Contacts. Since many Android Marketplace Apps aren’t optimized for a tablet screen, like the Apple iPad they will appear framed in the center. Video chat is no longer a far-fetched idea since the Galaxy Tab sports a front-facing camera. According to Samsung, it will support existing services such as Qik and Fring. There’s also a 3 megapixel rear-facing camera for capturing pictures and recording videos. Despite customized software, the Galaxy Tab will include all the essential Google services such as Gmail, Maps, Navigation, Goggles, and more. A Daily Briefing widget, also found on Galaxy S smartphones, will offer quick access to weather, news, stock, and calendar information. The custom OS comes DLNA AllShare enabled and even includes a Document Viewer and Editor. Press releases from the four carriers revealed some extra details. For instance, Sprint and Verizon models will feature a 5 person mobile hotspot. The same two carriers will include a 16GB microSD card to complement the 2GB of on-board memory. AT&T will include a connection manager to enable free access to their 20,000 WiFi hotspots nationwide. Verizon will include access to services such as V CAST Music, Video On Demand, VZ Navigator, and other tools. Samsung will also make a keyboard dock available for $99, a desktop dock for $49, and a card dock for $99. Notably missing from the lineup is any mention of a 4G model for either a WiMax or LTE network. Although unofficial, multiple sources are reporting that Samsung also mentioned that they plan to launch a WiFi only model that doesn’t require a contract. While the news is exciting, no carrier mentioned an exact date, unit price, or data plan structures. We’re working to get our hands on at least one or two of these models, so stay tuned for more coverage. How much will de galaxy cost me?? ?